From 1830 to 1869, when the first transcontinental railway was completed, 400,000 early settlers made their way to the West coast of the US along the Oregon Trail. The trail ran from Independence, Missouri to Oregon City. For the most part they walked beside their oxen-drawn covered wagons, day after day, for six months. They braved raging rivers, mountains, heat, rain, snowstorms, accidents, dwindling supplies, typhoid, cholera and exhaustion. Many didn't make it. Some turned back; one in ten died. By the end of the Oregon Trail years there was a grave for every 80 yards (metres) of the 2,000 mile (3,200 km) trail. We have been roughly following the route of the Oregon Trail. David has a major in History and an almost obsessive interest in all things historical. The U.S is a history buff 's dream. The country is littered with the confetti of history - Museums, Interpretive Centres, roadside Historical Markers, National Historic Parks and much more. I was dragged to them all. I'm not interested in facts, dates or pretty much anything to do with WWI or WWII but the Oregon Trail history is about people; their resilience, fortitude and persistence in the face of sometimes overwhelming odds. It's hard not to be fascinated. In Baker City, Oregon we spent a rainy few hours at the Oregon Trail Interpretive Centre, where through films, dioramas and interpretive boards we followed the pioneers step by step on their journeys. If you are ever in that part of the US, I can highly recommend it. Modern day Portland, Oregon - If only the pioneers could see it now. Much of the Oregon Trail follows the routes of today's Interstate Highways. Spending time at the Interpretive Centre put into context the countryside we travelled through. It was one thing to admire the fast flowing current of the Snake River, another to imagine the courage of early settlers, who for the most part couldn't swim, plunging their animals and wagons into the water and praying they would make it alive to the other side. Not all did. 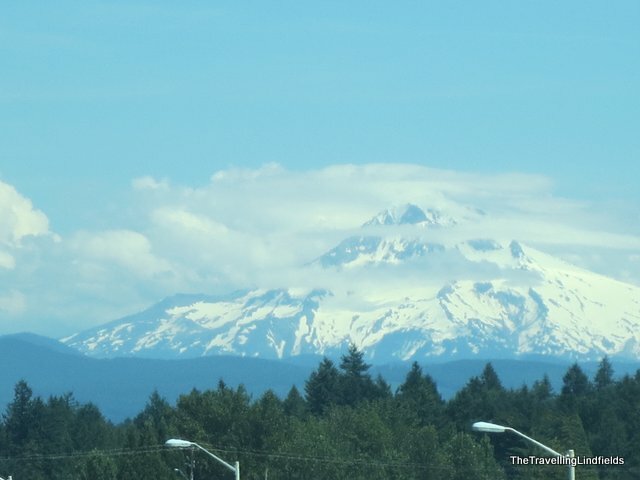 From Portland we admired the views of Mt Hood, (not unlike Osorno for the twitter traders who followed our recent trip to Sth America). The pioneers saw its vista as the gateway to the end of their journey. It is hard to imagine how they must have felt. 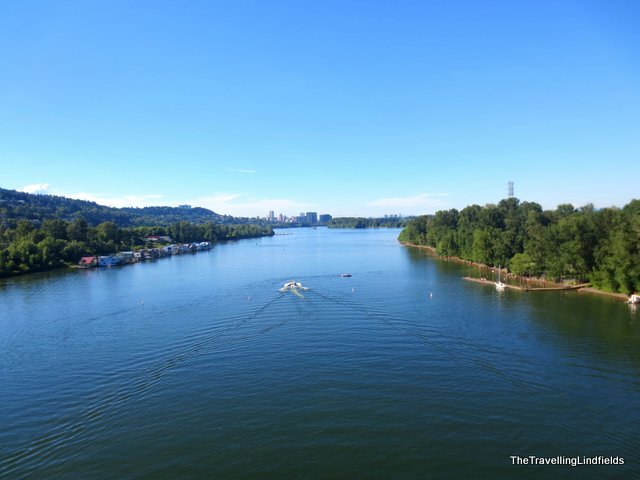 In Portland, Oregon where the Willamette Valley marks the end of the Oregon Trail the countryside is lush, green and with an abundance of water which Australians can only dream about. I understand why the pioneers came. I'm with you. I would much rather learn about people than battles and wars. I find the history of The Oregon Trail fascinating. Your photo of Mount Hood is gorgeous. 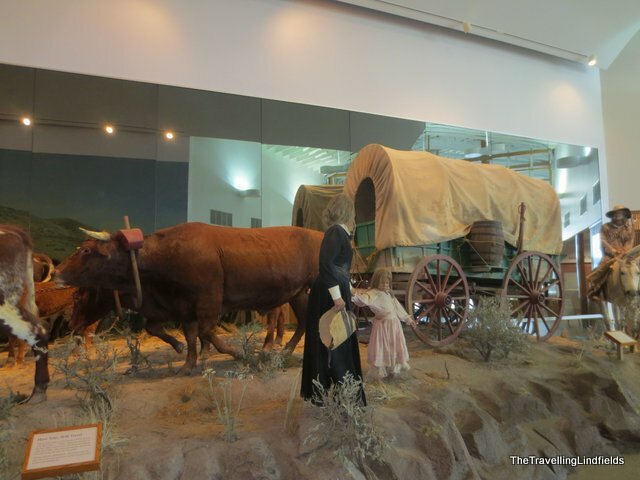 Before we went on this trip we knew very little about the Oregon Trail but once we started learning about the hardships these people faced we found it fascinating. Thank you for the kind and enthusiastic words. 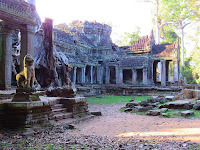 A little bit of history can really make a place come alive.